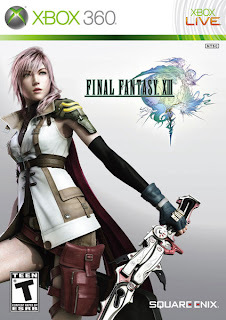 Square Enix has officially released the box art for the highly anticipated Final Fantasy XIII. Square Enix is following is tried and true Final Fantasy box art formula by having just Lightning, the Final Fantasy heroin, displayed on the cover with the Final Fantasy Logo. As you may or may not know, North American box art for Final Fantasy games is usually just a representation of characters, or a single character. Enjoy this little treat and wait on baited breath as I am for the release of this game.